Following yet another reportedly "anti-semitic" remark by Minnesota Congresswoman Ilhan Omar, one of two Muslim women elected to Congress last fall, Democrats in the House are reportedly planning a resolution to officially condemn anti-semitism (which these days seems to be any form of Israel bashing), and could vote on the measure as soon as Wednesday, according to Bloomberg. The resolution was written over the weekend in a collaboration between staffers from the offices of Nancy Pelosi, Steny Hoyer Eliot Engel and Jerry Nadler, though one aid said the text hadn't been finalized, and another aid no final decisions about the measure had been made. Omar was first accused of using an anti-semitic trope in a now-deleted tweet about pro-Israel money in US politics. 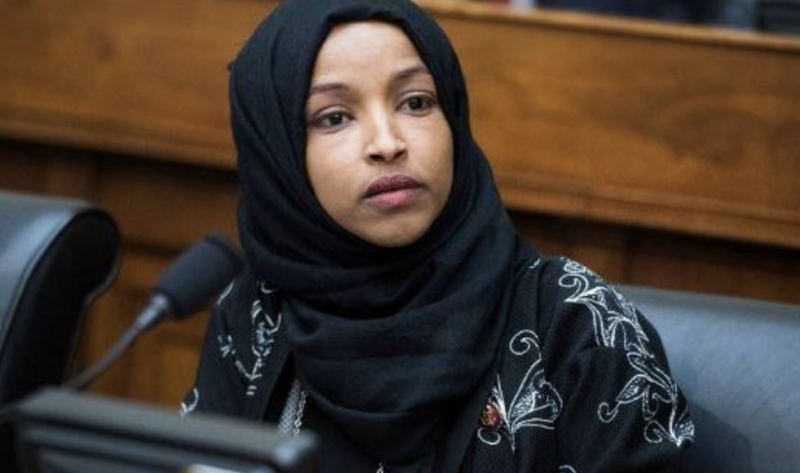 During the fallout from that tweet, Omar was widely condemned by Republicans and Democrats, and President Trump even demanded that she resign. In a second incident, Omar tweeted on Sunday about needing to "pledge allegiance" to Israel to serve in Congress. While her tweets have drawn widespread condemnation from most of the American political establishment, the anti-Israel faction of the American left has embraced her, arguing that her tweets weren't anti-semitic and that she was simply criticizing the foreign policy of Netanyahu-led Israel, as well as the two-party consensus of unquestioning support for Israel. As staffers finish work on the resolution, there has been intense debate about whether to specifically castigate Omar. Earlier this year, the House passed a similar resolution condemning "white nationalism" following controversial remarks by Iowa Republican Steve King.